As a real foodie, well at least that’s what I think I am, I love all kinds of food. But as a “CBC”, aka Chinese-Born-Chinese, Chinese cuisine always has a special spot in my heart. It explains why I’m constantly on youtube, watching people looking for good food in China. 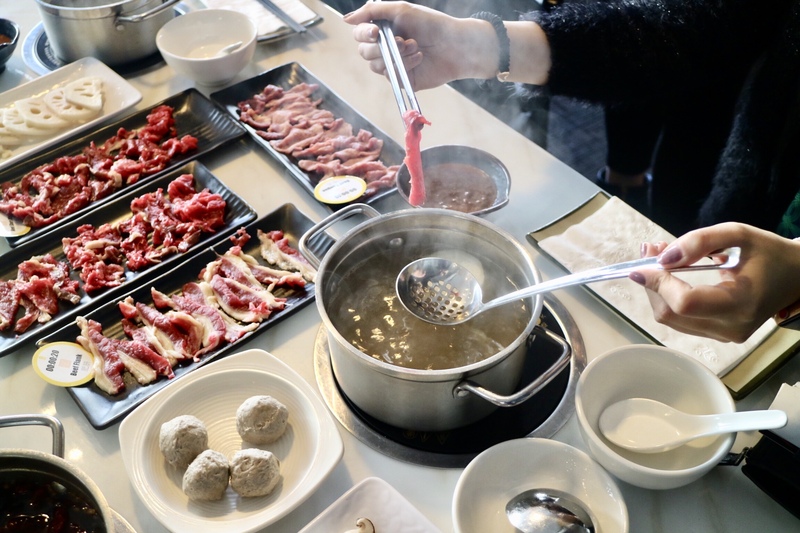 Having mentioned that Chongqing “mala” hotpot is the most common form of dining out in China, there are other regional hotpot that super popular too, like the Beijing lamb hotpot, the Cantonese seafood hotpot, and more recently, the Teochew beef hotpot. I was born Cantonese but my dad’s family was from Teochew, so I learned about Teochew cuisine when I was a little kid, and I love it. What’s special about the beef hotpot? First of all, the broth the hotpot is brewed with beef and beef bones, just like how they make Vietnamese pho. 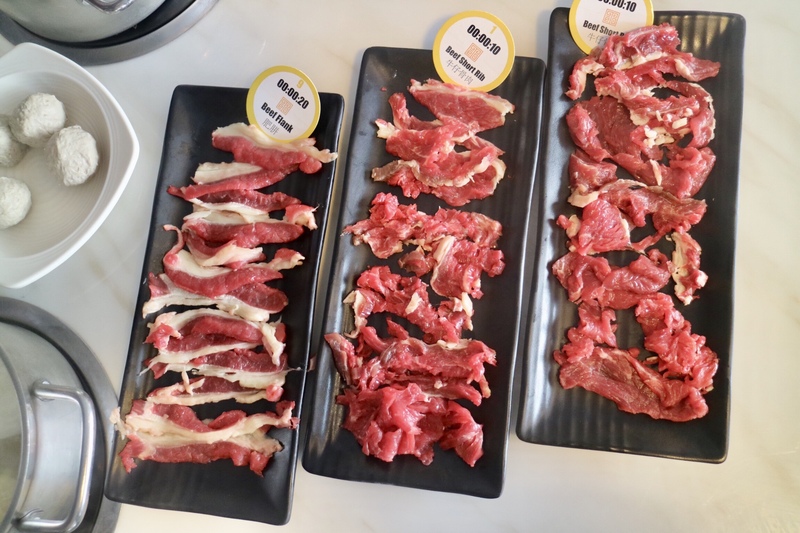 You can imagine cooking beef in hotpot with boiling delicious beef broth is just like making duck confit in duck fat or cooking steak in butter, giving you the best flavour. The next key component is the Shacha dipping sauce, made of dried shrimps and extremely flavourful, more or less like the Satay sauce in South Asian cuisine. Finally, the beef itself. 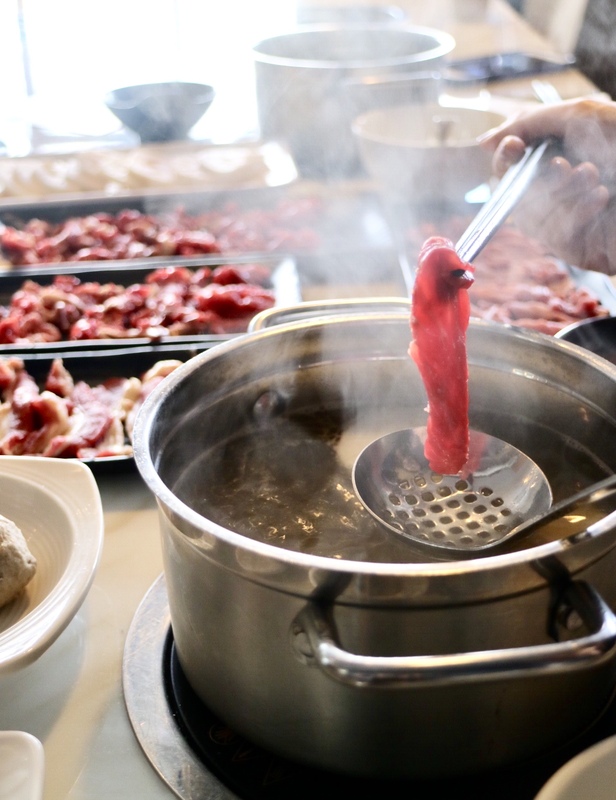 Authentic Teochew beef hotpot requires using high-quality grass-fed beef that’s fresh. Yes fresh, not previously frozen, which seems hard to obtain in North America. 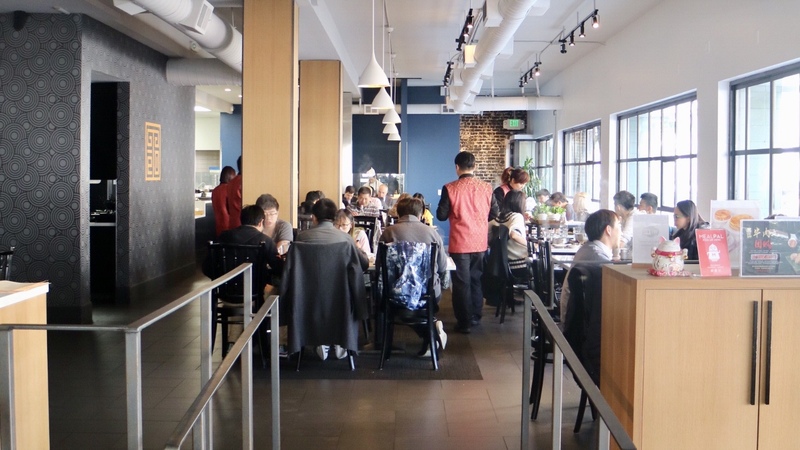 This is why I was so excited when I found out Areta (@foodgressing) was going to take me to a media tasting and feasting on authentic Teochew beef hotpot in San Francisco. 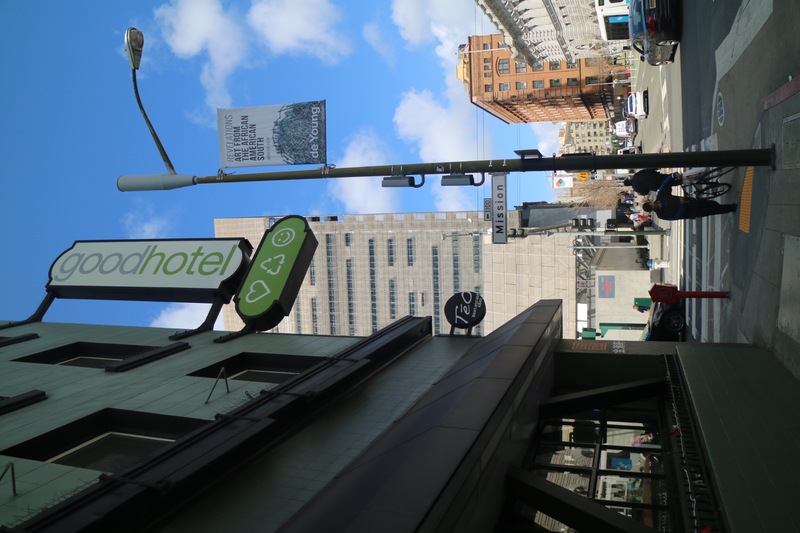 The restaurant is called Teo Restaurant & Bar and it’s located inside of The Good Hotel on Mission and 7th. 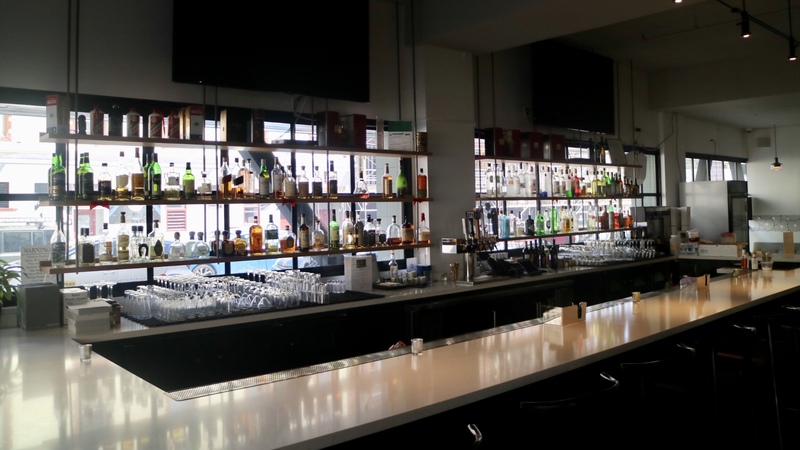 It was lunchtime and their huge bar with a long marble bar top was not in use yet. Although not in use during lunch, the bar area looked awesome and maybe they could do something about their cocktail program to attract day drinkers. 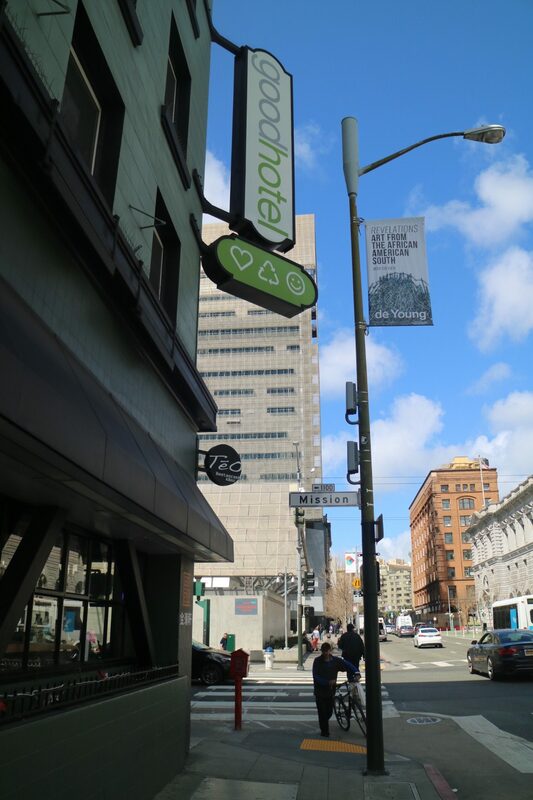 It is at a hotel after all! It surely would make a great spot for parties and events as well. The dining room looked newly decorated, and it was clean and spacious. It was pretty busy even it was already past 1 pm. And first came the dipping sauces. we received Shacha sauce, made from soybean oil, garlic, shallots, chilis, brill fish, and most importantly, dried shrimp, savoury and slightly spicy. 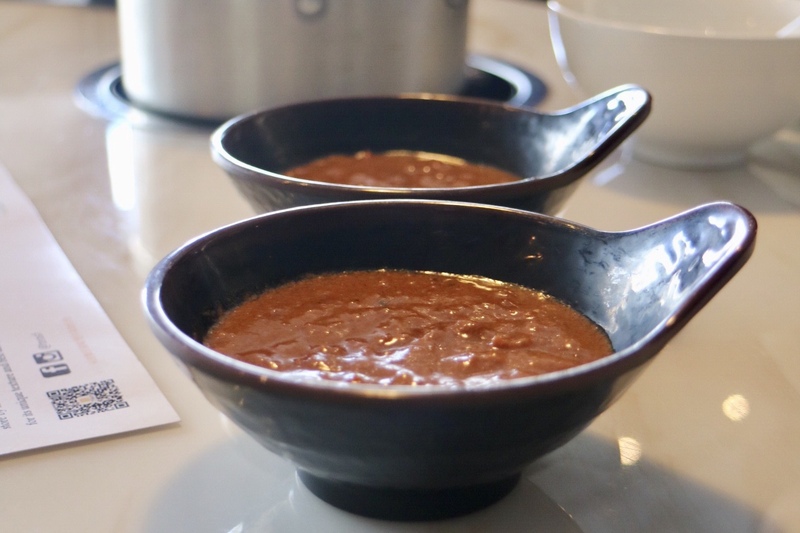 In many other countries, it is also referred as the Satay sauce. 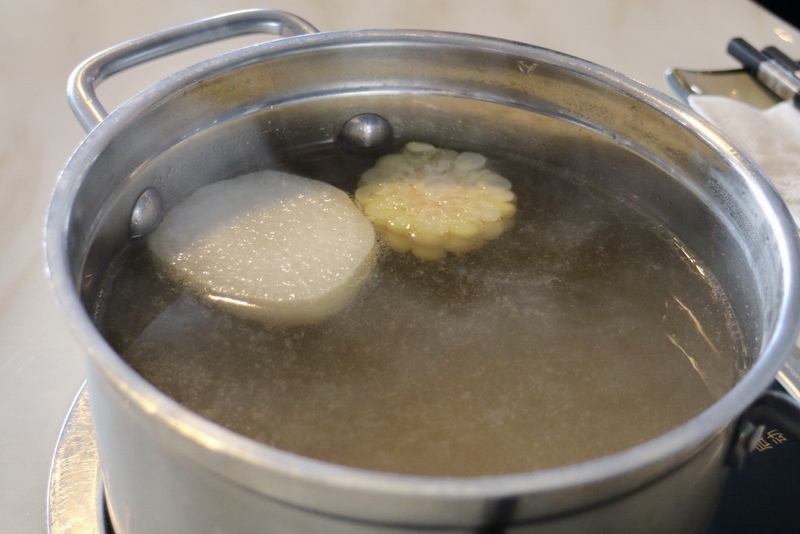 Then the broth for hot pot. Here each person gets his/her own pot of broth for cooking, and the size of the pot is not small! 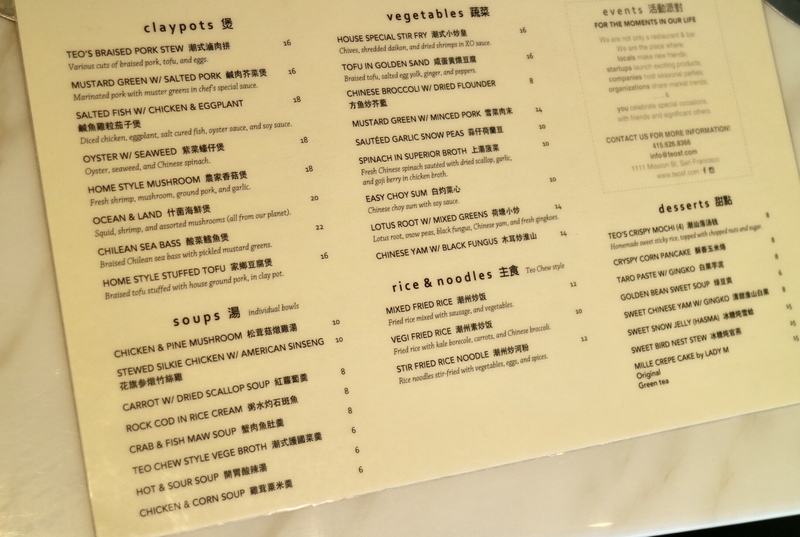 I knew the signature broth should be the Original Beef Bone Broth, but one of the waiters told me that the Spicy Broth is also very popular. 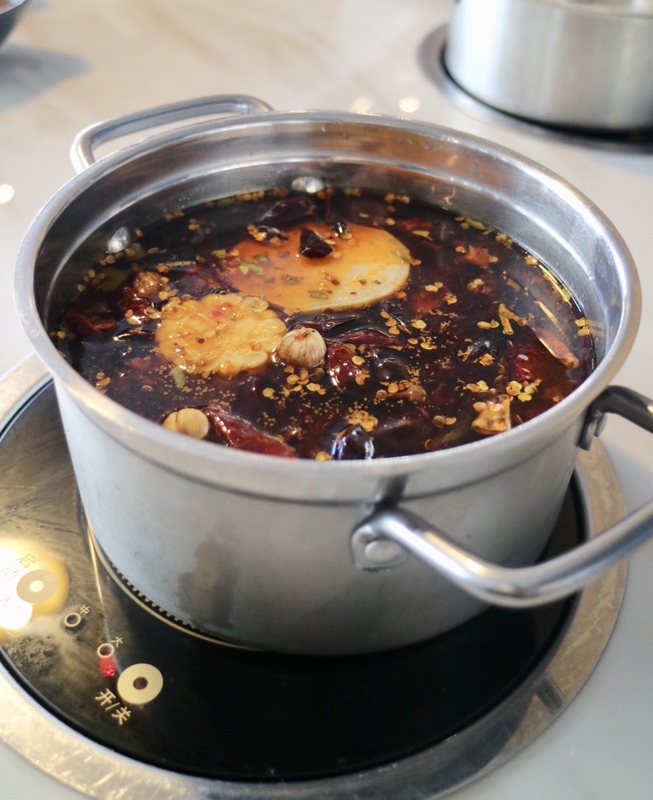 We took his words and got a spicy pot as well, and the broth turned out to be very where to buy diovan hct online mexico similar to the Chongqing spicy “mala” broth that I had at Liuyishou. And we were explained why the beef here is special. Apparently, most of the meat packers in North America only supply frozen or previously frozen beef to restaurants and stores. 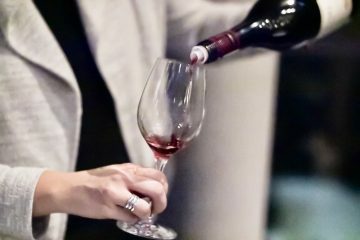 So it took a while for the owner-chef of the restaurant to find a reliable source of fresh beef, not previously frozen or aged, from grass-fed and pasture and sustainably raised cattle farmed in Sonoma County, and the beef is certified humane, antibiotic free, and hormone free. Just look at the beef, the firm flesh with the mouth-watering ruby red, indicating how fresh and flavourful it is. The beef was good, given the amazing quality and the incredible freshness. And cooking the beef in the beef bone broth does achieve the divine flavours of quality beef. The Spicy Broth was good too as I have developed the love for spicy food. However, to enjoy the best of the freshest beef, the Orginal Beef Bone Broth is the better choice, and you just need to dip the meat in the Shacha sauce for a little bit of a kick. You really want to taste the beef! We ate for a very long time as there was a lot of beef. I kind of regretted that I had a slice of breakfast pizza at Vive la Tarte earlier. But I just did not want to stop eating because the beef was just darn delicious. 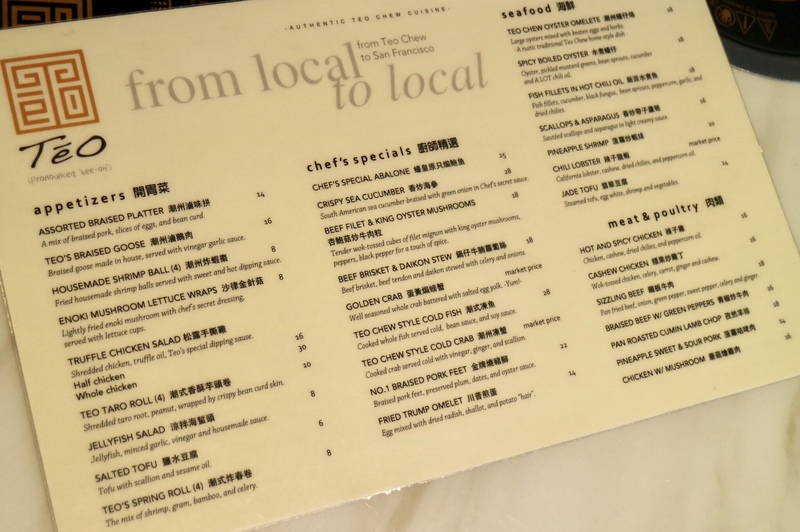 Taking a quick look at their menu, I was impressed with the authenticity of the Teochew dishes. Just imagine taking the best of both Cantonese and Taiwanese cuisines, Teochew cooking is highlighted with the minimalist treatment of freshest seafood, the braised meats with bold savoury 5-spice flavours, and the art of turning ingredients so simple like tofu or egg into dishes that are super delicious. And the pricing is quite reasonable. * All dishes and beverages tasted in this post were complimentary. Opinions are on the reviewer’s own.